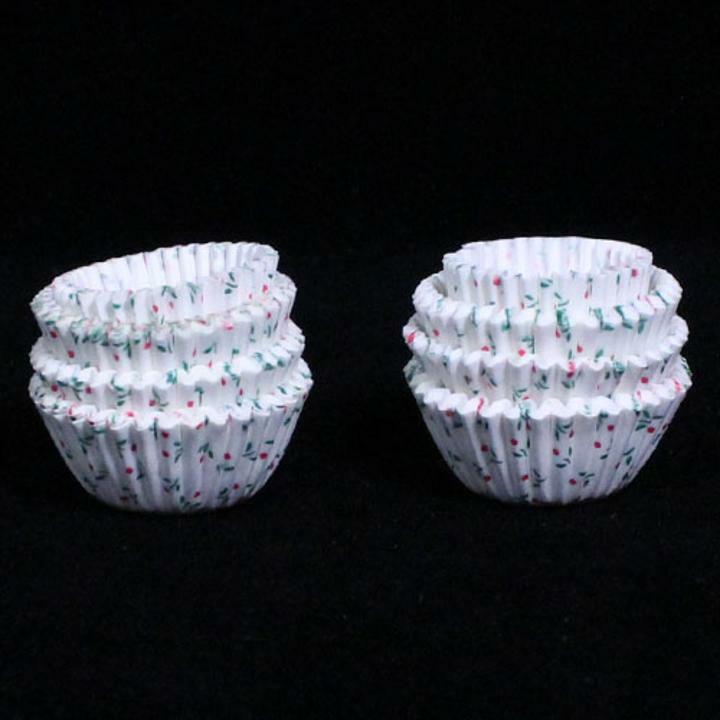 Dress up your desserts with 1 package of 100 floral cupcake liners that fit inside standard cupcake pans. Their medium size and adorable pattern makes them perfect for baked goods and confectionery delights. Each cupcake holder is 2 1/4 in. Round x 1 in. Tall. L: 2.0 in. W: 0.0 in. H: 1.0 in.